It’s ironic that you start life knowing exactly what you want and then end it in a frantic search for What It All Means. 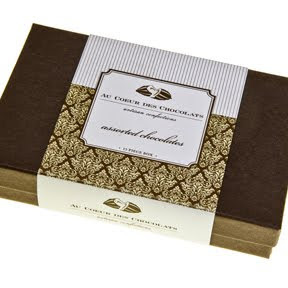 And that is exactly what is so brilliant about Au Coeur Des Chocolates. 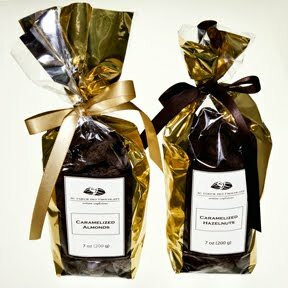 They’ve spent the time to figure out what lies at the heart of the most important thing in life – that thing being chocolate. 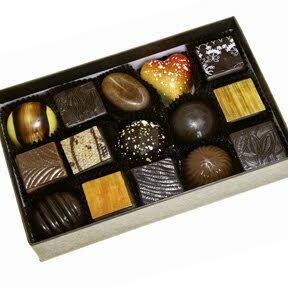 So you can leave all your concerns aside and focus instead on finding somewhere you can lounge comfortably and enjoy some pretty amazing chocolates. I have always been a finicky eater and I cannot tell you how many times someone has told me “you’d really like that (lamb, celery, tongue) if it were cooked right.” And then somehow, I would always get finagled into having to sample their expert rendition of lamb, celery or tongue, only to reinforce the fact that I don’t like it. So, my philosophy has always been, trust your gut. But I have found the exception to my rule. You may be wondering what I am getting to and it’s this: If you really believe you are not a chocolate-covered nut person, trust me, the only reason is that you haven’t had Au Coeur Des Chocolates Caramelized Nuts. 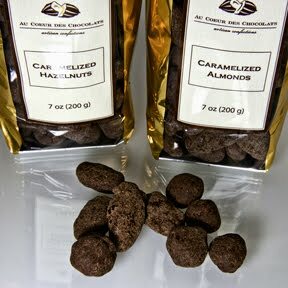 The process in which Au Coeur Des Chocolates Caramelized Nuts are created is painstaking, but oh, so worth it. First, each tiny nut is toasted. Then when the nuts are at the peak of toasty-ness, they are cooked in sugar until the sugar caramelizes and each nut is covered in a light crunchy skin of caramel. 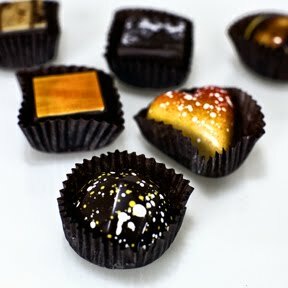 Then they throw in a dash of salt to accentuate the flavors and the pièce de résistance is a generous, velvety coating of sumptuous, dark chocolate. 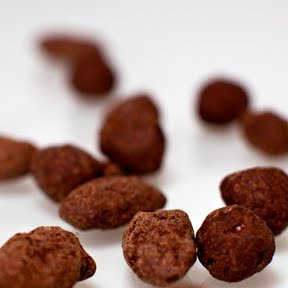 To ensure quality and perfection, Au Coeur Des Chocolates employs tiny elves to oversee each exacting step. OK, this last part may or may not be true, but it sure tastes like it. Each bite takes you through the pleasurable taste sensations of the crunch of the nut, the crispiness of the caramelized coating, and then the feeling of smooth, silky, rich chocolate – all blended together in a way that will make you crazy in the same way catnip makes my cat William crazy. You will most certainly find yourself reaching in for “just one more” until the whole bag is empty – even if you are on a diet and your reunion, where you want to show your ex what they missed out on, is less than a week away. Au Coeur Des Chocolates offers Caramelized Almonds and Caramelized Hazelnuts. You may be tempted to purchase Caramelized Almonds if you are on Team Almond or Caramelized Hazelnuts if you are on Team Hazelnut. But we highly recommend purchasing both, and, instead of troubling yourself about this seeming extravagance, muse on the dilemma of choosing between them and call it a day – a really good day.